Possible Worlds: England, UK, Great Britain--What's the Difference?! England, UK, Great Britain--What's the Difference?! I just want to say sorry to my UK readers upfront. But seriously, some of my American brethren aren’t even aware there is a difference between England, Great Britain, and the United Kingdom (and let me tell you, the Olympics and the World Cup don’t help). And here I am purporting to sort out the difference, and I’m pretty sure I’ll still get something wrong. Anyway, I’m writing this in preparation for my impending UK Oxford study tour. I’m leaving Monday night, and really looking forward to learning, seeing, and interacting with all of the rich British evangelical and Baptist history. And I hope I meet some real live British people! 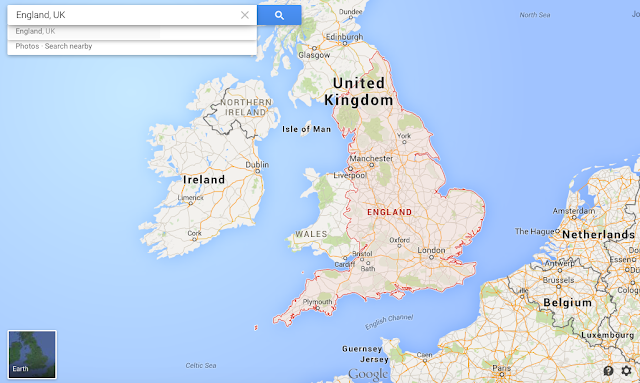 England is located on an island called Great Britain. This island is home to three countries: England, Wales (to the west), and Scotland (to the north, which is not fully in view in the picture. Sorry.). These three nations, in addition to Northern Ireland (located at the northern end of the island of Ireland), form the United Kingdom. Finally, the British Isles are an archipelago made up of tons of islands including Ireland and Great Britain. Get it? For reasons not really known to me (but I’m sure are easily searchable), the UK competes as Great Britain in the Olympics (and it includes athletes from Northern Ireland who do not live on the island of Great Britain). And I suppose because they invented soccer, the four individual nations all get their own national teams. This also likely means we shouldn’t refer to England’s soccer team as “the British team.” So, hopefully this has been helpful for some of us Americans (including the media) who may have been understandably confused at all the nuances that exist in the United Kingdom!